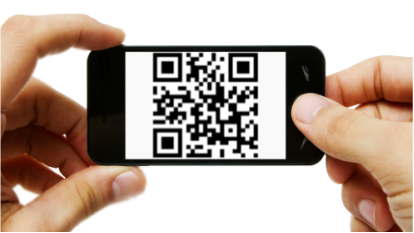 Use your smartphone to scan the project QR code to file a Notice easily from the job site. By scanning the code from the Appointment filing printout, you will be taken to the LiensNC site to file your related Notice to Lien Agent on the project. This trick saves you time that would have been spent searching for the correct project. Pay for multiple filings at once by placing them in your cart until ready to checkout. If you use the LiensNC system often, you know how time consuming it can be to enter your payment and billing information each time you file. Next time choose to PAY LATER to add the item to your Cart. Then, when you're ready to pay, you can pay for everything and enter your information only once. Copy an Appointment to a new Appointment or a new Notice filing. Connect with us on social media to stay in the know about a variety of LiensNC topics. We often share user experiences and quotes, and we provide various links and information to assist users with filing and finding projects. Join us today! Receive email notifications to notify you about any future activity on a project . Just like the Lien Agent gets notified whenever project activity occurs, users have an option to track a project as well. Use quotation marks to look for exact phrases when searching through projects. Without quotation marks, the search feature treats each word as a separate keyword. To look for a particular phrase (such as, "123 Elm Plaza") place the words in quotation marks to help filter results. Only Appointment of Lien Agent and Notice to Lien Agent matters are handled through LiensNC. All other construction forms and matters should be addressed elsewhere. This includes; Claim of Lien, Notice of Subcontract, Owner's Affidavit, Notice of Public Subcontract, etc.